Puppeteering. Key Editing. Look at Camera. Timeline Editing. 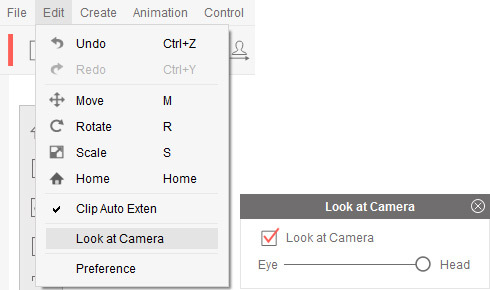 Simply use a mouse or handheld device to puppet your character's animations. 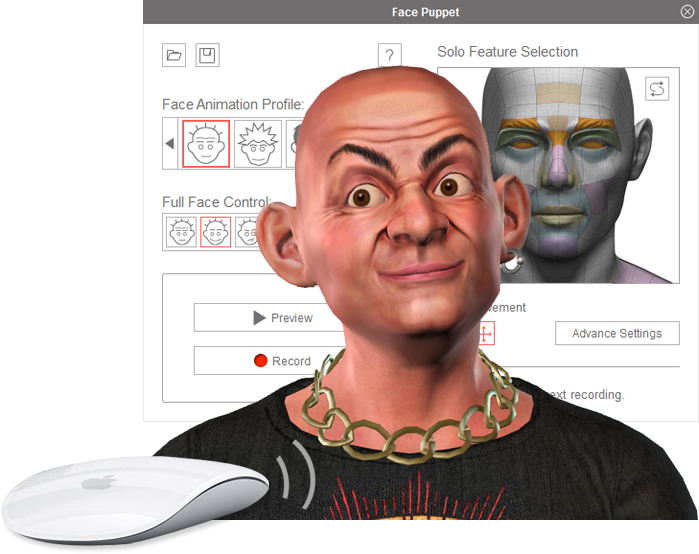 With a Solo Feature Selection, you can design custom facial features and puppet behaviors while playing back recorded audio in real-time. 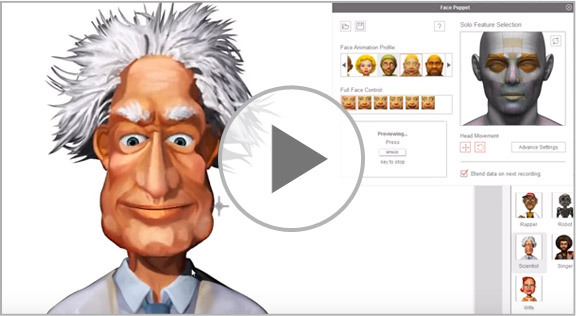 The default puppet profiles define instant personalities for puppeteering, ranging from real human beings to cartoonish profiles. Furthermore, 6 emotion styles for each profile provide you with full control over various facial expressions. • Muscle – define different parts of the muscle to animate. • Expression – create vivid expressions in no time by applying preset templates. 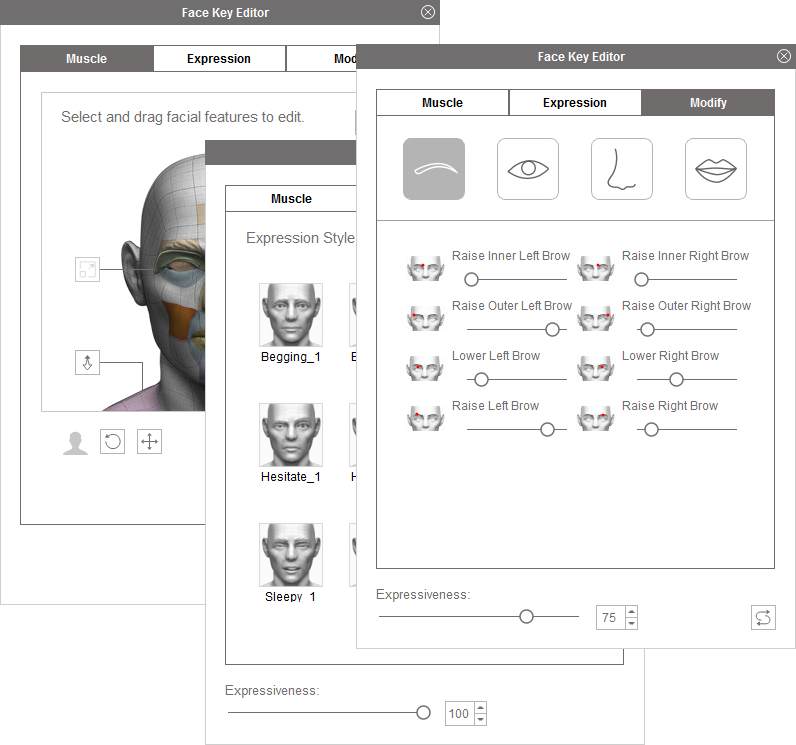 • Modify – customize further facial feature details all on your own. 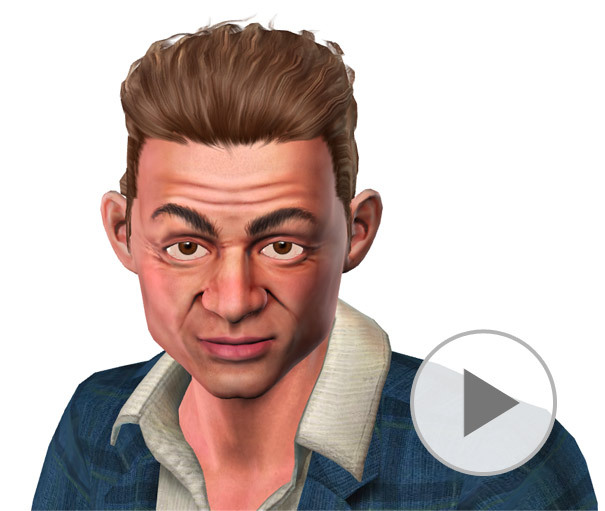 For 3D avatars, you may endow them with unrestricted head and shoulder movements to liven up your animation results. Freely adjust the constraint level to keep your avatar’s eyes and head following the audience, giving you immediate control over actor animations. Engage your audience with better eye contact, bringing instant attitude like a host or an anchorperson. 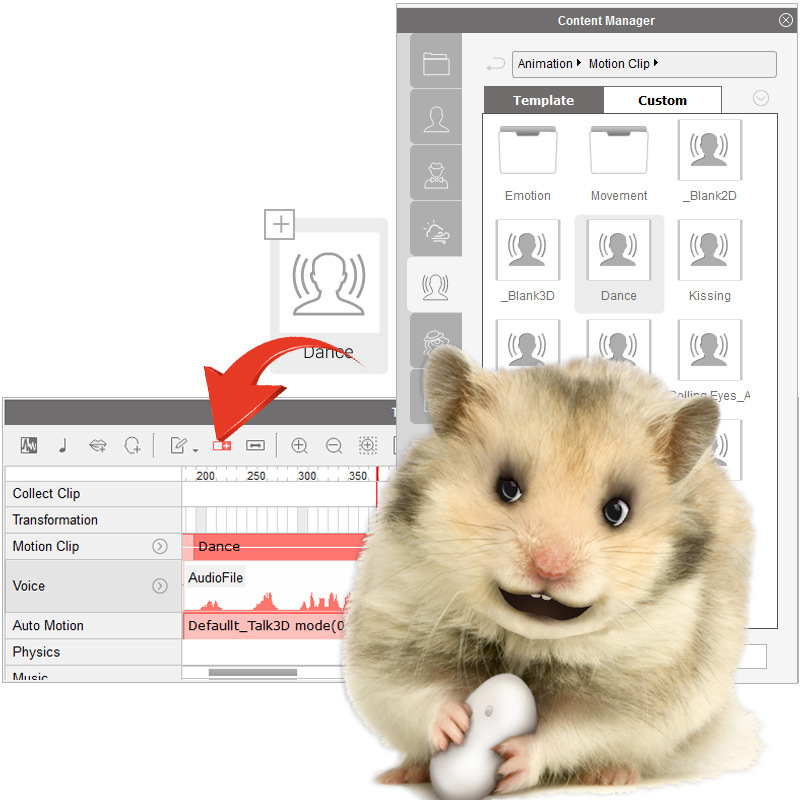 The new and enhanced Timeline environment allows users to fully control their 3D talking animation projects, down to their individual tracks including; - head, shoulder, face, eyes and lips. 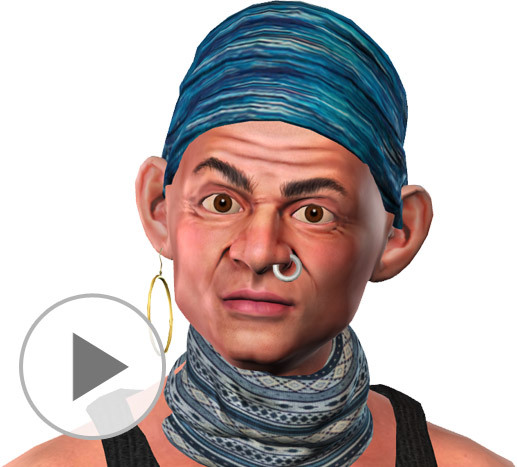 All this gives you the flexibility to redo any selected track editing when working on intricate facial animation. 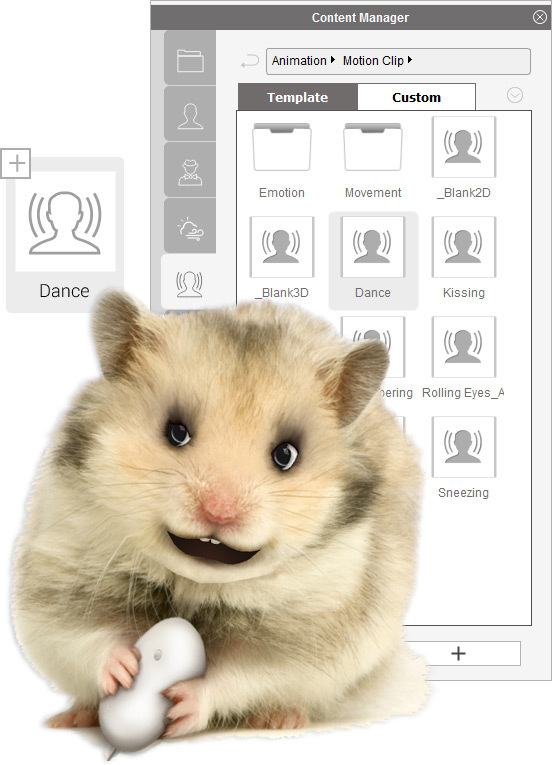 Add our studio-made Motion Clips for instant expressions including; full face, eye, and head performances such as giving a kiss, blinking eyes, or crying. You can simply "drag and drop" available Motion Clips from the library and layer them into the timeline to apply for instant expressions. 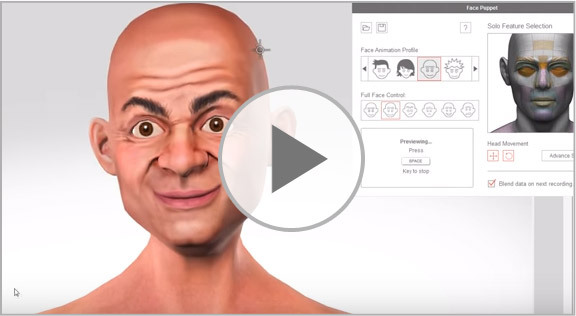 Record real-time facial puppeteering and save them in layers as Motion Clips, storing all the data for every animated facial feature during the live puppet session.